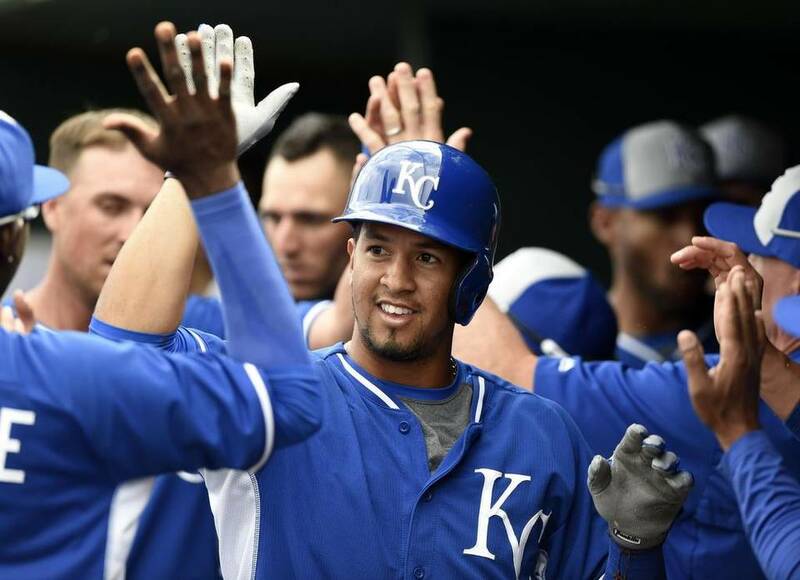 Former Kane County Cougars third baseman Cheslor Cuthbert made his major-league debut Tuesday and has gotten at least one hit in each of his first four MLB games. The Kansas City Royals promoted Cuthbert to the big leagues after placing their regular third baseman, Mike Moustakas, on the family emergency/bereavement list. He is the 14th Nicaraguan-born player to appear in a MLB game. All four of his MLB games have been against the Tampa Bay Rays. He collected singles in both games of a doubleheader Tuesday, singled and walked on Wednesday, and had an RBI triple and an RBI single in today’s afternoon game. The Royals won all four games. Cuthbert batted .267 with 8 HR and 51 RBI in 81 games with the 2011 Cougars. Prior to his call-up to the Royals, he batted .256 with 8 HR and 33 RBI in 76 games with the Triple-A Omaha Storm Chasers this year. Former Royals outfielder Willie Wilson turns 60 today. His best MLB season arguably was 1980, when he batted .326, stole 79 bases, and led the American League with 230 hits, 15 triples, and 133 runs scored. Wilson was the Midwest League MVP and Prospect of the Year in 1975, when he batted .272 with 8 HR, 73 RBI and 76 SB in 127 games with the Waterloo Royals. Waterloo won the Midwest League championship title that year, and skipper John Sullivan was named the MWL manager of the year. Sullivan managed Waterloo for three seasons, 1974-76. The 1975 team featured eight future major-leaguers, including Wilson and future Royals closer Dan Quisenberry. “Quiz” pitched 86 innings for Waterloo in 1975-76, posting a 1.57 ERA with 50 strikeouts and 15 saves. 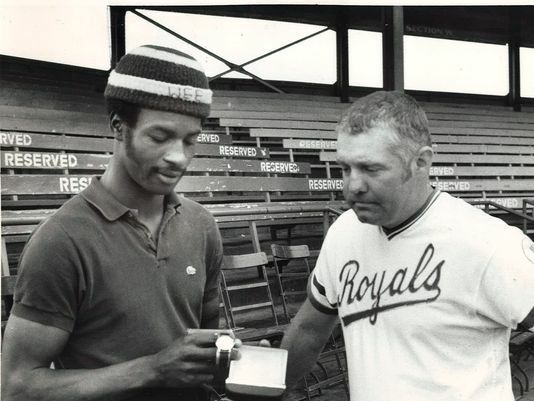 In this Des Moines Register photo, Waterloo Royals OF Willie Wilson (left) and manager John Sullivan look at a watch Wilson won for being named Kansas City’s top farmhand for May 1975. 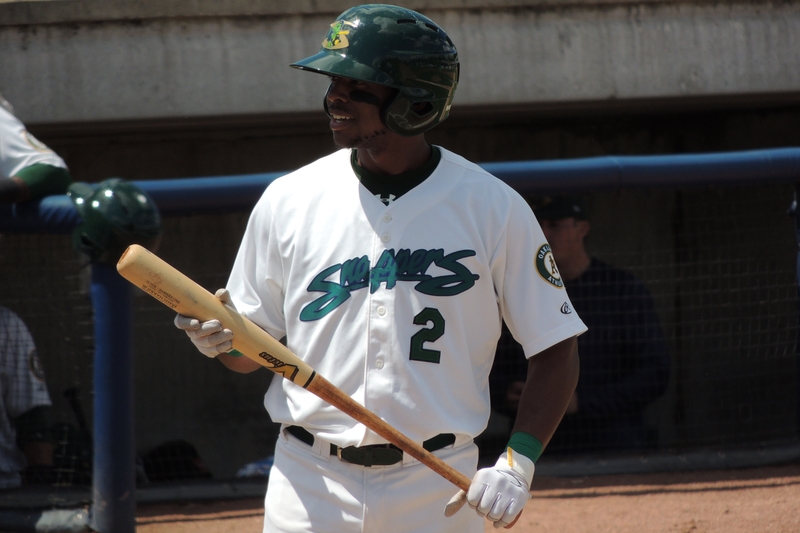 Beloit Snappers centerfielder James Harris made a leaping catch to rob Wisconsin Timber Rattlers centerfielder Brandon Diaz of a home run Sunday. 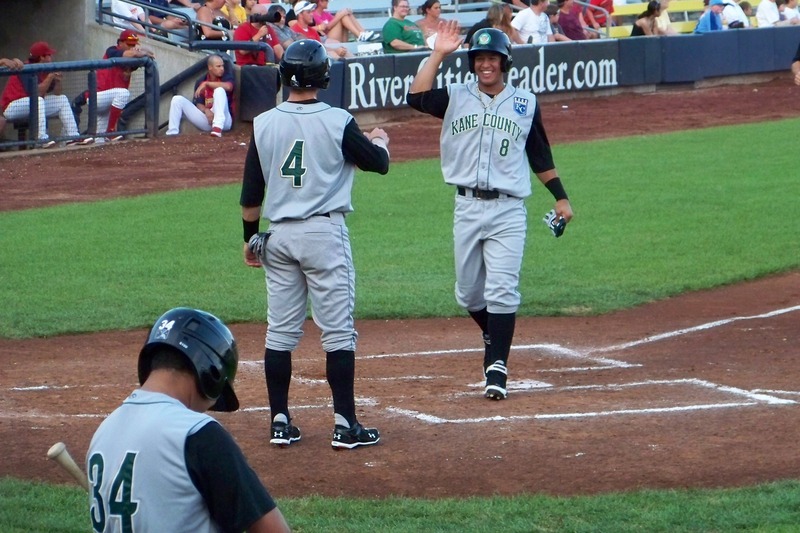 Video of the play surfaced thanks to the game being televised by the Timber Rattlers, and fans voted it the Minor League Baseball Play of the Week for June 29-July 5. You can watch the Harris catch, as well as five other Play of the Week finalists, here. This entry was posted in Beloit Snappers, Kane County Cougars, Midwest League, Omaha Storm Chasers, Pacific Coast League, Wisconsin Timber Rattlers. Bookmark the permalink.